Who’s in the Urban Nutcracker this year? Been to The Urban Nutcracker already? More than once? Ready for something new? Have we got a deal for you! Come see The Urban Nutcracker. Okay. So, some of the new things are replacing the old. Some are improvements and variations. And some are bold new concepts we’ve never tried before. 15 years ago, these were beautiful, whimsical, one-of-a-kind creations, designed by a Washington, DC based artist and set designer Rebecca Cross. But after all the blood, sweat and tears, after all the wear and tear—and did I mention sweat? The Rox Riff sagged. The Sugar Plums smelled. And it wasn’t so much fun for the dancers to put on these costumes any more. If anyone was going to do anything about the costumes, it was Dustin Todd Rennells, Tony’s all-in-one Costume Master, Costume Director, and the Company Operations Manager. Dustin had been with the show since 2007 and knew every stitch that went into every individual piece. All 1,175 of them. And there is a BIG change in the battle scene. But we can’t tell you beforehand: it would ruin the surprise! Set designer Janie Howland and lighting designer Scott Clyve went to work on the new backdrop. Like Dustin, they were looking to give expression to what the show has always been and could yet become. Truth be told, The Nutcracker is an urban story to begin with. Where do you think the rats and the mice come from? So, what’s so urban about The Urban Nutcracker? It’s Boston! The new set features Boston’s landmarks: the Fenway, the State House, the Public Garden, the CITCO sign. It has the feel of the Boston neighborhoods: brick, clapboard, old weather-beaten doors and doorsteps. The old sets were painted on flat drop-down cloth panels. The new ones are real. hardware. The new Christmas tree is a stunning sculpture made of steel and light. Janie wanted the real Boston, not a panted backdrop, to shine though the windows in the party scene. So the windows became LED screens running videos of different parts of Boston. In the 2nd act, the screens take the audience to different parts of the world. There is a mystery in every Nutcracker. Where is Dreamland? Does it only exist in a dream? This show puts it all on the map: Spain, China, Russia, Saudi Arabia. I mean where does Tony get the money and manpower to make something like this happen? The costumes alone could put a small company out of business. A lot of people were swept up by the artistic vision and helped bring it to life. Main Light Industries of Maryland rented the LED screens at one third of the regular price. ALPS of Ranndolf, Mass. Supplied discounted lighting. The parent volunteers sewed 40% of the costumes. Uncle Drosselmeyer showed up out of the clear blue sky and paid for the new sets. Many individual donors chipped in through a crowd-sourcing site Indigogo.com to raise $10,000 for the costumes. However, without a costume fairy, it would have all come to naught. Dhriti Fashions from India sewed breathtaking Russian, Chinese and Arabian costumes at a great price . No problem! All the costumes took less than three months. 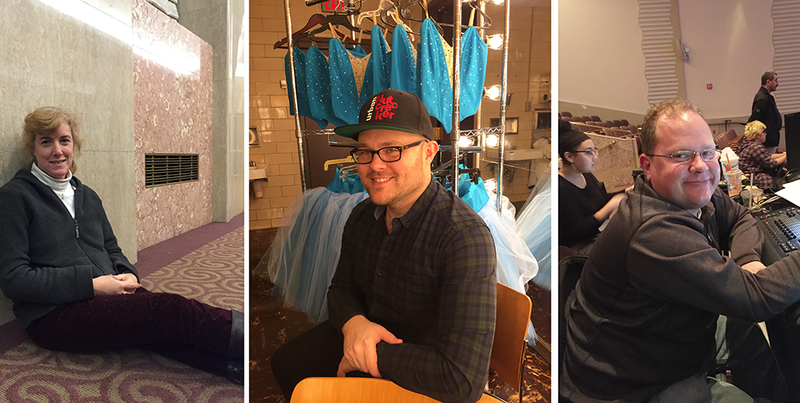 Since September, Dustin and his crew of volunteers fitted 175 costumes to 200 dancers. Tchaikovsky and Duke Ellington. Hip-hop and ballet. Live performance and videos. The show invites a strange mix of art forms. And yet, year after year, they come together in a way that gives each one a place to shine. New features taking the spotlight without crowding out the old ones. Not an easy task by any stretch. Janille is 32 years old. She knows exactly who she is. Here it is, in no particular order. She is a mother of four. Jayda is 8. Anaya is 6. Khalid Jr is 4. Azai is 2. She is a step dancer and a teacher. Step is related to the South African gumboot dance, as it is to military exhibition drills. Traditionally, there is no music. Step dancing mysteriously appeared in the US in the early 1900s as a pledge ritual at black fraternities. In 1925, The Hilltop, a Howard University student newspaper, carried the first record of “young men, stalwart of frame, and rugged of heart and mind” dancing in unison without music. In the 90s, step became a full-blown craze. It was in the movies, like Spike Lee’s School Daze. On television: A Different World. President Clinton had it at his inauguration. Gospel artist Kirk Franklin put it in his tours. All the kids wanted to do it. Janille’s church started a step ministry. Janille joined when she was 15. First as a student, then as a core dancer, then a co-leader. The group eventually became a professional dance company with Janille as its co-founder and artistic director. When she fell in love with step, Janille was in high school. The world-famous Boston Latin, also known as Homework Hell and Our-D-Students-Would-Get-Straight-A’s-Anywhere-Else. Unfortunately, the reverse was also true. As her step career skyrocketed, Janille’s grades took a nose dive. Presented with a straight-D report card, Janille’s mom issued an ultimatum: college-quality grades or no step. Janille’s grades climbed back to a B-average. From that point on, for Janille, there would be no either-or’s. She would continue stepping through her undergrad at Lesley University and through her two Master’s degrees at Columbia. After she moved to the New York city, and after she got married and started a family. It would always be a question of balance and focus. In 2013, fashion designer Rick Owens was looking to make a splash with Vicious, his all-new spring collection. He wanted more than a typical runway show. Instead of hiring fashion models, he chose professional step dancers to rock his designs. Four dance teams, each responsible for its own choreography, came together during Paris Fashion Week to form “Team Vicious.” Janille and her company, Momentum were one of the four. They flew to Paris, got fitted into the clothes, and stepped on the runway. Because they had been sworn to secrecy during rehearsals, Janille didn’t expect instant fame. However, before she changed out of her costume, she was all over the web. Her pictures showed up in Vogue and dozens of other magazines. Like dance, psychology was an easy choice. Not even a choice. A calling. After getting her double Master’s in psychology and education, Janille became a life coach. She is Khalid’s wife and fellow artist. In 2005, the Urban Nutcracker was in its 5th year. Khalid and Janille were both in the show. Janille had a small part in the Prologue. At the curtain call, she was one of the first dancers to do her bows. Khalid came out at the end, walked to the front of the stage and picked up the mic. She was all the way in the back and she heard every other word. 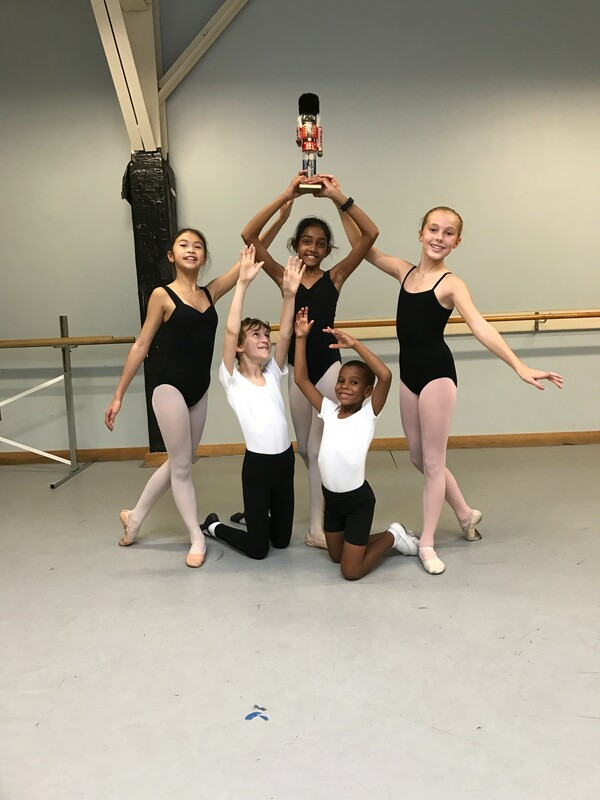 Now the Urban Nutcracker is in its 15th year. Khalid and Janille have been married for almost 10 out of those 15 years. And, every now and then, the show still brings them together. This year and every year since inception. Khalid is a native of Dorchester and Roxbury, Mass. No rags-to-riches story, though. Khalid’s parents bought a condo in Roxbury in the 90s, just when it started to become trendy. Their neighborhood is a historical one: the Museum of African American History, and Malcolm X’s house just a couple of blocks down the street. When Khalid was 4, his mother took him to a dance school because she thought he was a little clumsy. She had the right idea. At age 10, Khalid landed a part in The Great Tap Reunion alongside Gregory Hines, the Nicholas brothers, Savion Glover, and Honey Coles. That show decided his future. After seeing so many great tap dancers in one place, it was impossible not to catch the bug. At 17, Khalid was a world-class professional. He had a part in Savion Glover’s Bring in ‘da Noise, Bring in ‘da Funk and toured with the show for two years. He was still in high school, so the company hired a tutoring agency to join Khalid on his tour. After two years of non-stop performances, Khalid returned to Boston and enrolled at U-Mass. The money he saved from the show lasted through college and earned him a Bachelor’s in Management with a minor in Theater Arts. But the stage was calling. Khalid settled in New York City to perform and teach dance, while his ever-practical side was going for a Master’s at NYU. Two years later, Khalid started a family. Another nine years and four kids—and he is still doing shows and dancing every day. Improvisation is the soul of Khalid’s style. It’s called “hoofing” and it goes back to slavery, to men coming back from the fields and hoofing their hearts out with their bare soles. Do you have time for that? He does. Khalid and his wife are devout Christians. They have bible studies at home. They have four young kids, jobs, classes, performances in Boston and New York. Khalid’s day starts at 4am. Hoofing. Before the major religions of the world, dance was a way to worship God.